I am so excited to share this with you today!! People often ask me HOW to manifest their desires. 2. Feel the feelings of already having what you want. Your work is ALWAYS to become an energetic match for what you want. This means vibrating at the level or frequency of the things you desire. Or feelings as though you already have it before you do. As you practice making energetic “decisions” it gets easier and easier. You confirm within yourself that your desired outcome will be yours. I often call this locking in my desires. Vibrations are your point of attraction (meaning, they are the place you attract from). And feel the feelings that rise up when you think these type of thoughts. Most importantly, you feel all of this before you have any reason to. And remember: This has nothing to do with your current reality; this is about the reality that you are choosing to create. You feel all of this before you have any evidence. You feel all of this despite the current evidence saying it’s impossible. You feel all of this… right now. I often talk about this as “locking in” your desires or deciding as a part of manifesting your desired outcome. Locking it in just means deciding that it is yours now, that it will be done, that it has to be done and that there is no other way. In today’s video training vlog, I riff on the energy of deciding and how to use decision to achieve your every desire. The other day a client told me that she didn’t know how to decide. Really, she wanted to know how to lock it in and step into her power. I told her that she actually did know how to decide. I reminded her of all the other decisions I watched her make. She had moved to her dream city and fallen in love with her dream man since joining The Mastermind with me. She just had less practice deciding around business and around money. If you did know how to decide to get everything you want in business, what would be going on? If you did know how to decide to get everything you want in business, how would you be feeling now? 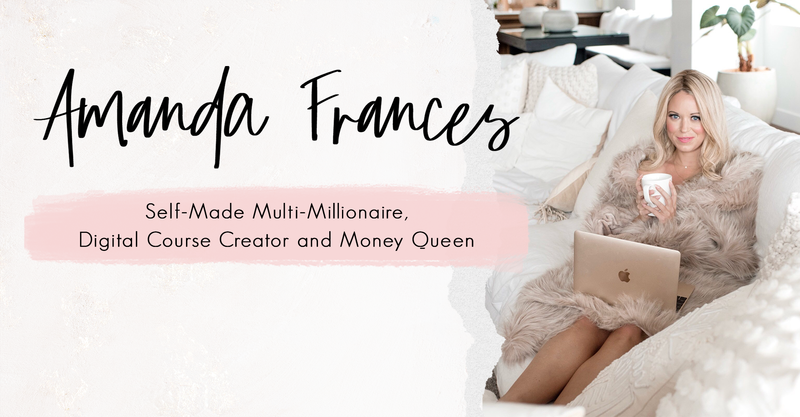 If you did know how to decide to make all the money you desire in your business, what emotions and thoughts would you be experiencing now? A client recently told me she had created a funny dynamic with her clients; she felt really responsible for their results. I walked her through how she wasn’t responsible for anyone’s anything. All we can do as coaches is show up and give our best while massively supporting those who choose to be in our worlds. What the client chooses to do with what we provide is up to them. My clients get amazing results, but I’m not attached to that. I expect them to get incredible results, but I don’t make it mean anything about me if they don’t. None of their decisions have anything to do with me. If you already knew for sure that your clients would get incredible results regardless, what would be going on now? And if you already knew that you were being the best coach possible, how would you feel in your body now? And if you already knew that you got to be so proud of what occurred in these coach/client relationships, what emotions and thoughts would you be experiencing now? What if you did? If you did know how to be successful in business, how would you be feeling now? What would be going on for you right now? What would you do in your business right now? It allows you to be an energetic match for what you desire because you are feeling the feelings of already knowing how, and it speeds up the process. But it also works for you practically. Allow yourself to turn on the part of your brain that already knows the actions you need/desire to take next… and take them. I love you! What do you think of this vlog? PS: Tomorrow morning I am releasing a FIFTEEN video bundle on manifesting your every desire. I am SO excited to share this with you. This is going to change so many lives.